Do you own or manage a busy loading dock or commercial operation in the Lower Mainland? 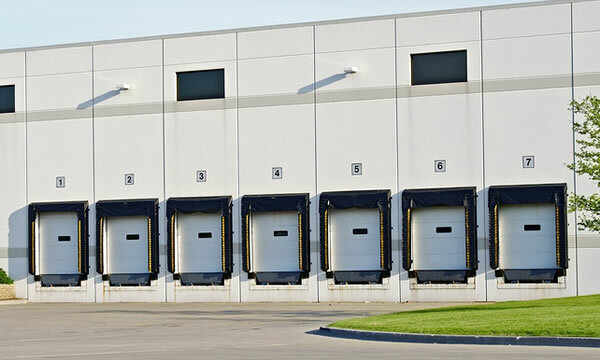 Your loading dock is responsible for the flow of good to and from your business, any disruptions take time, cost money and lose productivity for your business. DoorTech Industries a local, family owned and operated Vancouver company can help you with that. DoorTech Industries has been servicing commercial door and loading dock systems for the last 35 years. From outfitting new loading docks with everything you’ll need to begin operating to repairing existing loading dock facilities or giving them a much needed upgrade. We can handle any size or scale of loading dock project in Greater Vancouver. Why DoorTech For Your Loading Dock Solutions? Local Vancouver, Family Owned and Operated. 35 Years Of Loading Dock System Experience. Fleet of Fully Equipped Service Trucks. 24 Hour Emergency Loading Dock Services. If you’ve just experienced a loading dock or door failure DoorTech Industries can quickly dispatch one of service trucks to your area. We offer same day loading dock repair services for the lower mainland area. Maybe a truck backed into your loading dock a little too hard and caused some damage? or maybe you’ve had a mechanical door failure or another type of loading dock issue that needs an expert immediately. DoorTech is here for you. Unexpected downtime costs your business money in both time and production lost. Having a door failure at a busy warehouse or commercial operation can be a crippling experience and is something you’ll probably want to avoid, wouldn’t you agree? DoorTech Industries can work with you to develop a custom maintenance program for your busy loading dock and commercial building. Our trained technicians can offer regular, scheduled maintenance and inspections so your door systems operate smoothly and your loading docks remain efficient and safe. We’ll maintain an extensive record of the work we’ve completed for you so you’ll have always the information handy and know exactly where you stand with your loading dock and door systems. Are you expanding an existing facility and increasing your capacity for handling goods? If so you likely need to have new loading docks built, along with all of the proper doors systems, truck restraints, dock levels and other systems that go into a loading dock. DoorTech Industries can provide with you installation and upgrade service for new loading docks under construction. If you need loading dock service, parts, repairs or installations in the lower mainland then give DoorTech Industries a call today or fill out one of our online forms and we’ll get back with promptly.